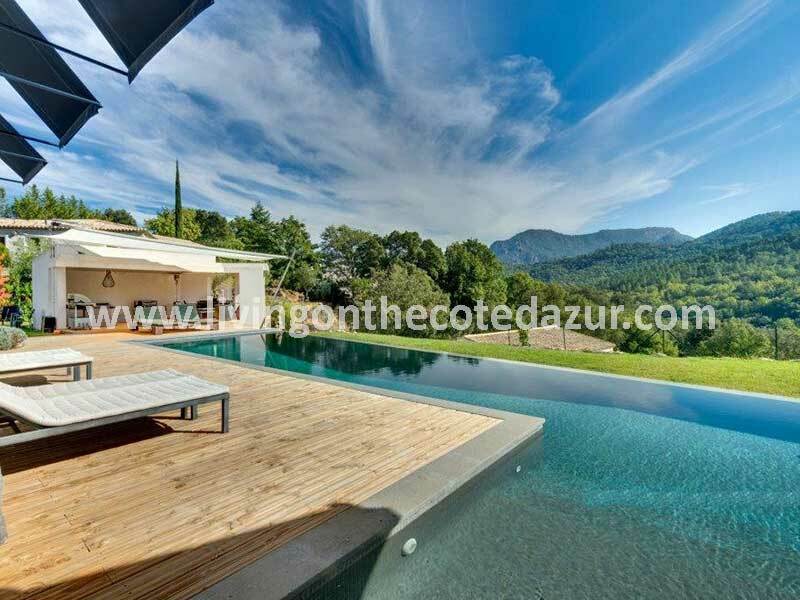 This is really a holiday paradise in Vallauris Golfe Juan for those who love the sun, a swimming pool and a sandy beach around the corner. 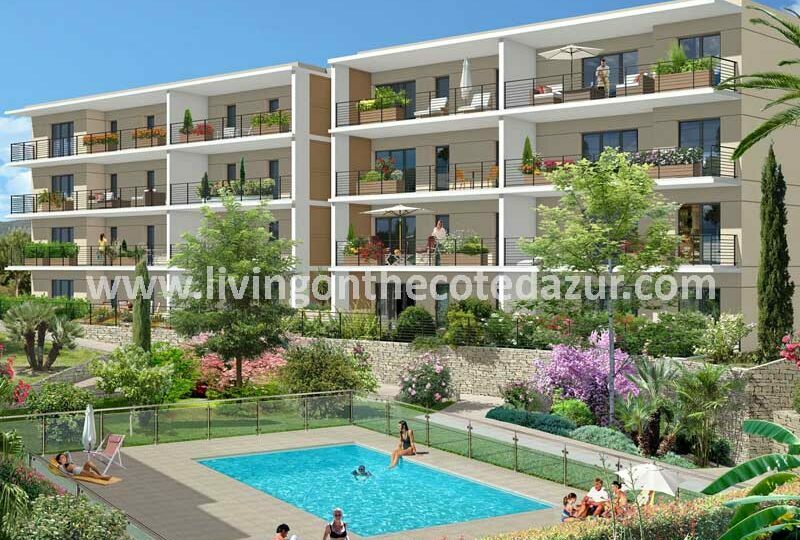 These two buildings with a large swimming pool will be completed by the end of 2020, giving you the opportunity to be the first to choose from the new apartments on the Côte d’Azur. 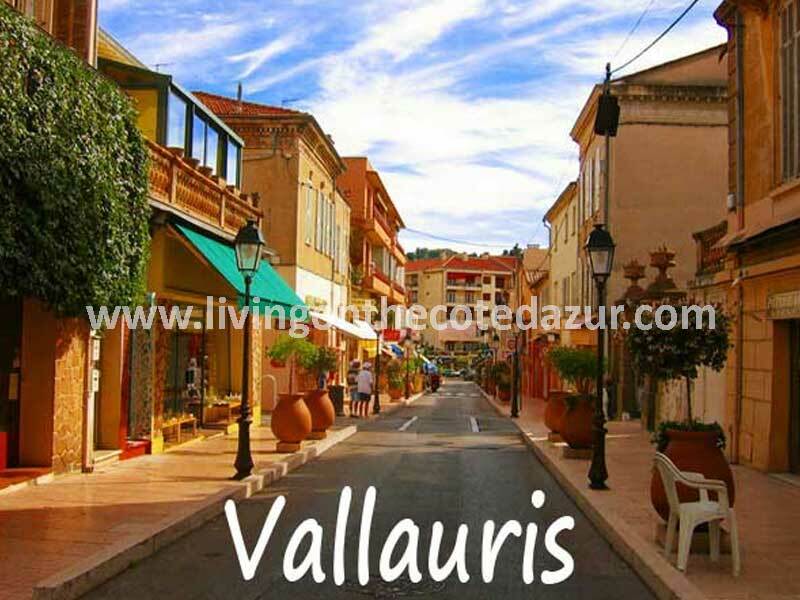 And Vallauris Golfe Juan is perfectly situated close to Cannes but does not have those high prices per square meter. 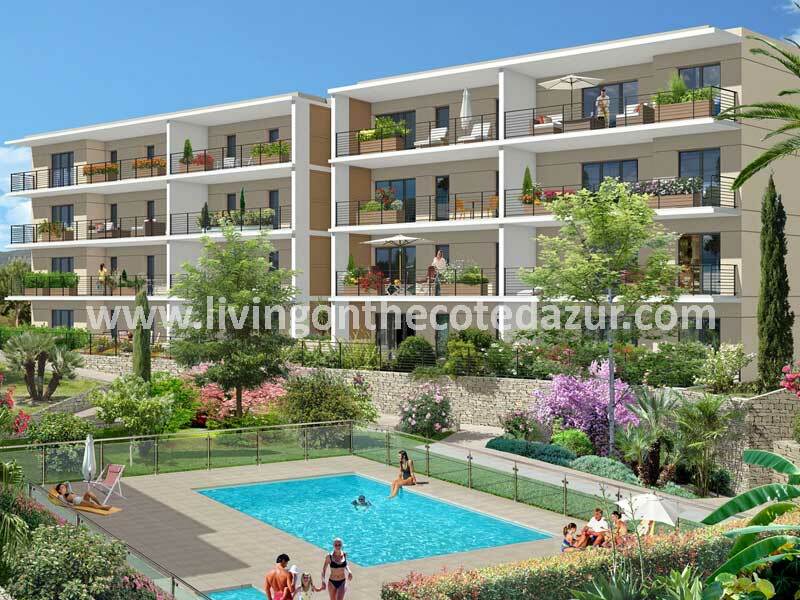 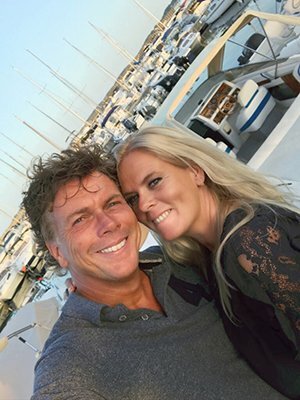 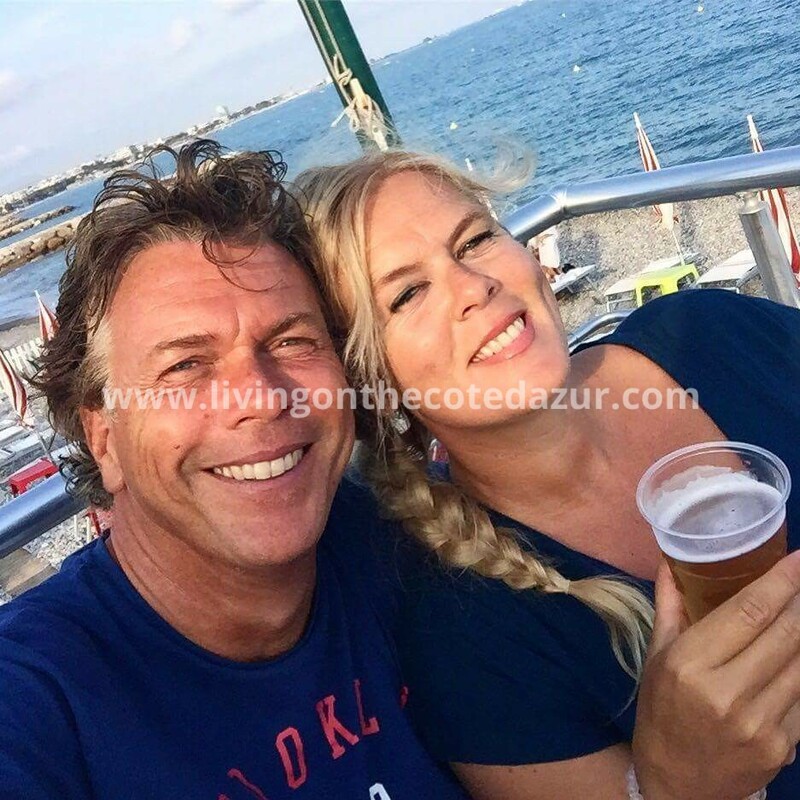 So who wants to get the most out of the French Riviera holiday apartment budget, will always look at the amount of the investment. 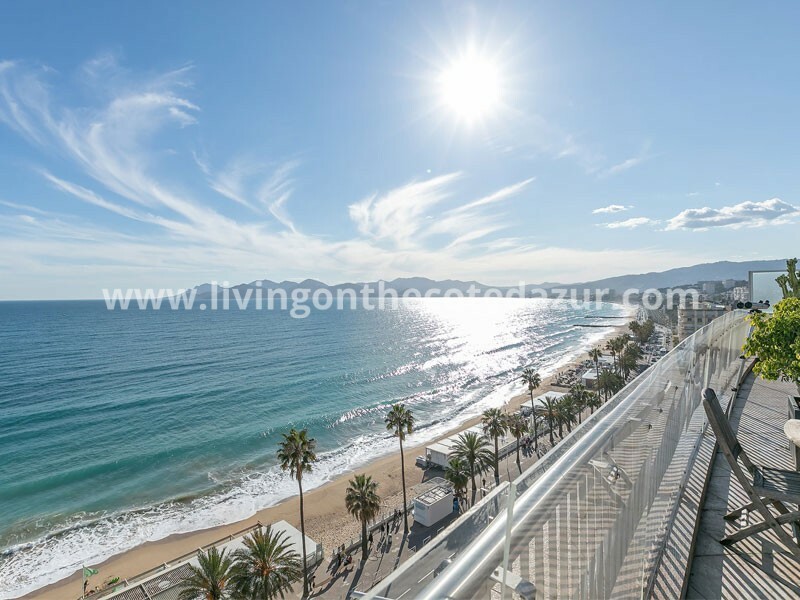 Do you want a lot of space and also close to the beach, and close to popular seaside resorts? 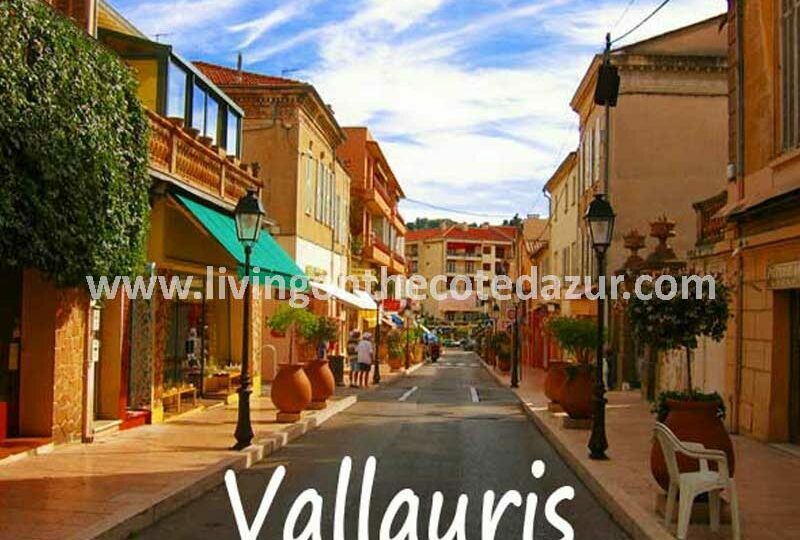 Then Vallauris Golfe Juan is your new place on the Côte d’Azur. 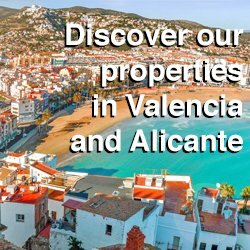 Discover this town here. 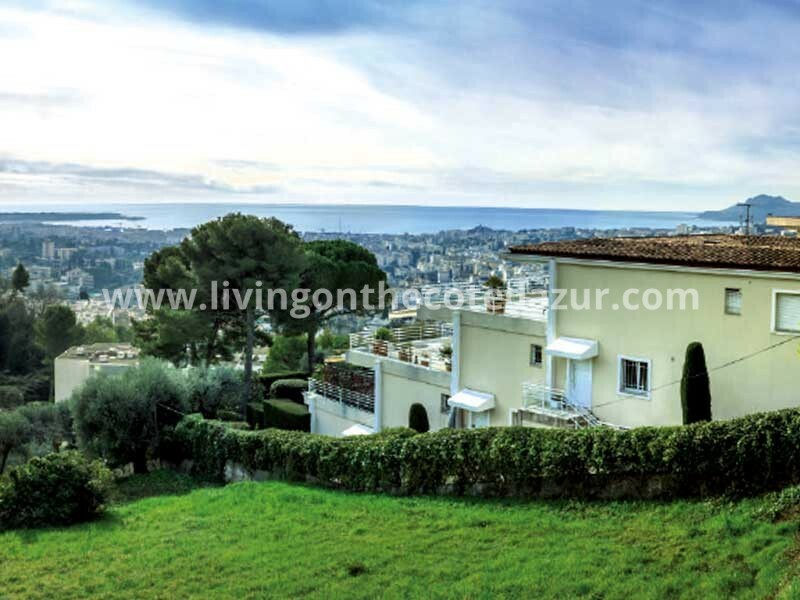 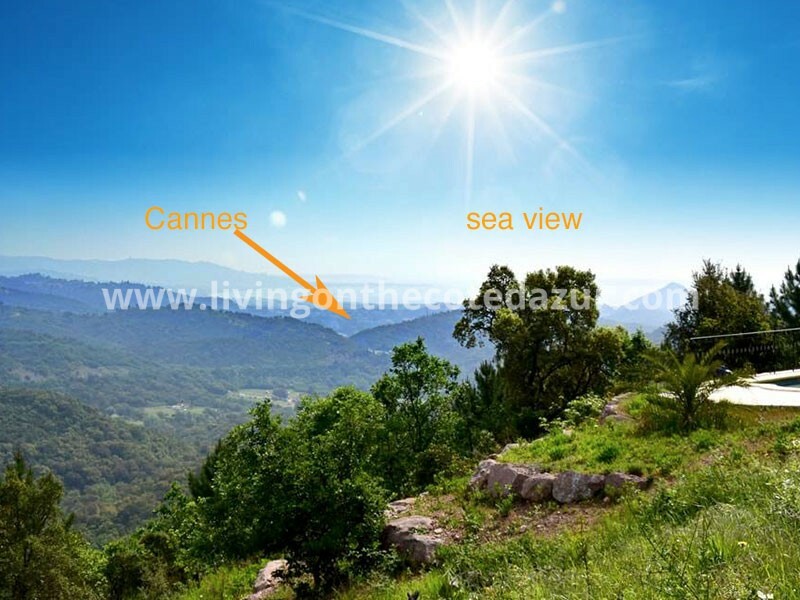 Between the beaches of Golfe-Juan and the green hills, lies this beautiful Domain, just 5 minutes from the bustling old center and all amenities. 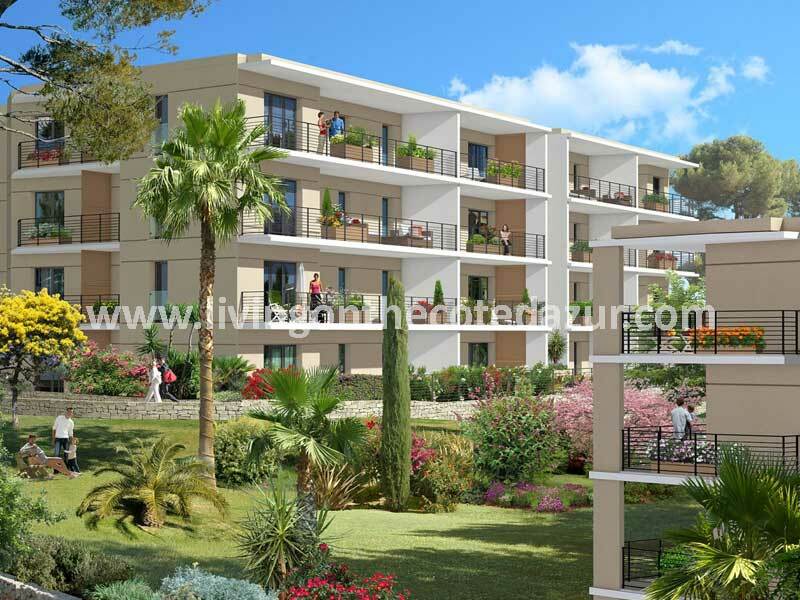 The closed domain in Vallauris Golfe Juan is located in a very wooded area, and close to the sandy beaches. 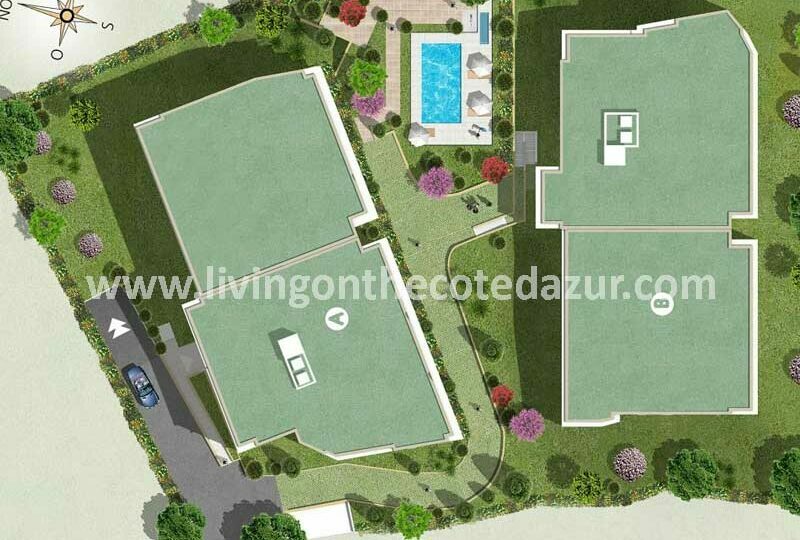 The residents enter through a gate and then park in an underground garage. 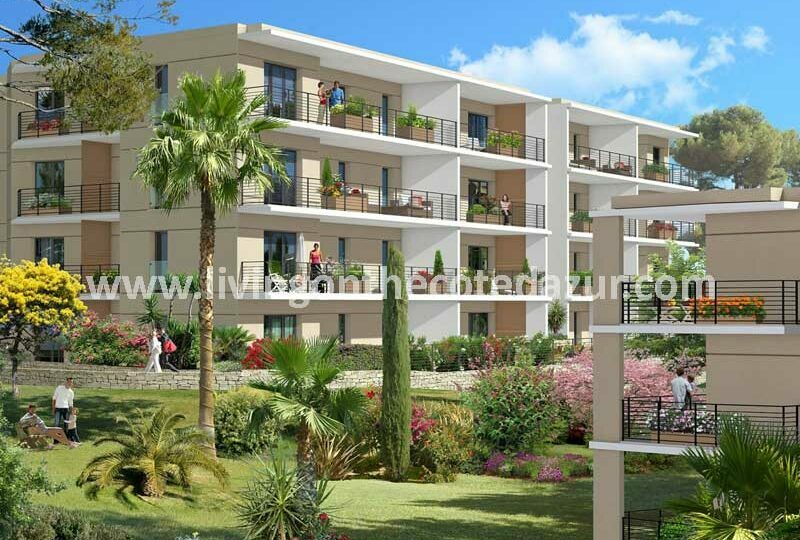 The two buildings with new apartments are surrounded by a garden with many seats and surrounded by flower bushes. 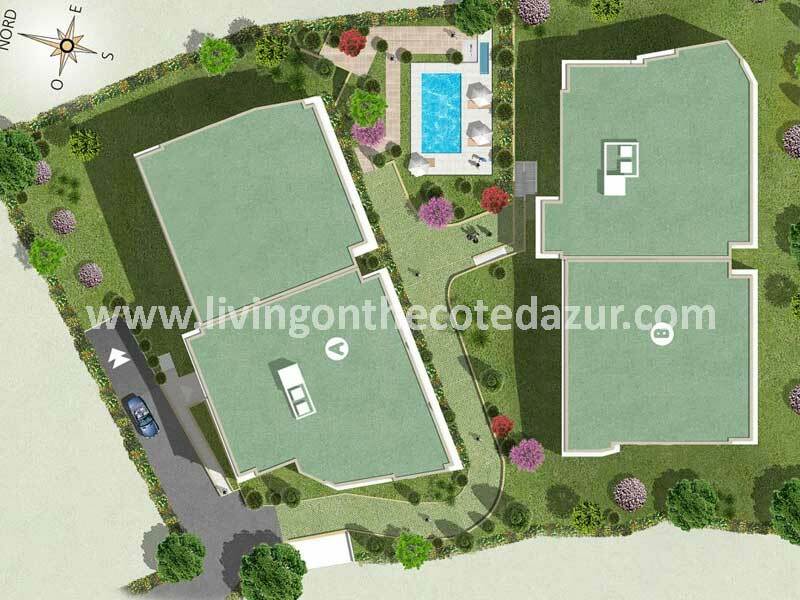 An oasis of tranquility with a centrally located swimming pool.